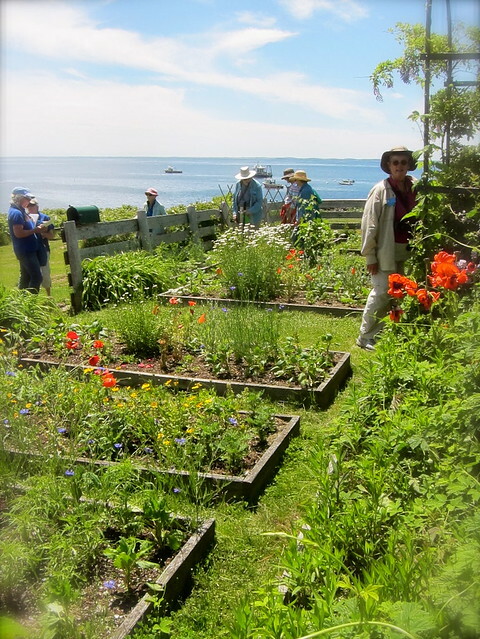 Earlier this summer, I had the chance to visit the site of Celia Thaxter’s garden on Appledore Island. With its straight borders and paths, the garden is planted mostly with annuals that she’d fill her parlor with, as well as the nearby Appledore Hotel. There’s something about being on an island and its surround of open water that takes one out of oneself, and, though visitors frequently come just for the garden, the island itself was a source of inspiration for Celia’s many guests. Beyond the garden, the landscape here is rugged, as a visit to the Devil’s Dance Floor, one of the island’s many coves, attests — ample evidence of the feat Celia accomplished in creating her “little old-fashioned garden.” Appledore is now home to the Shoals Marine Laboratory, which continues Celia’s tradition of welcoming visitors through its program of workshops and tours. Though this weekend is the last of the garden-specific tours, the docent-led natural and cultural history ones also includes Celia’s garden, with several dates still available in August. 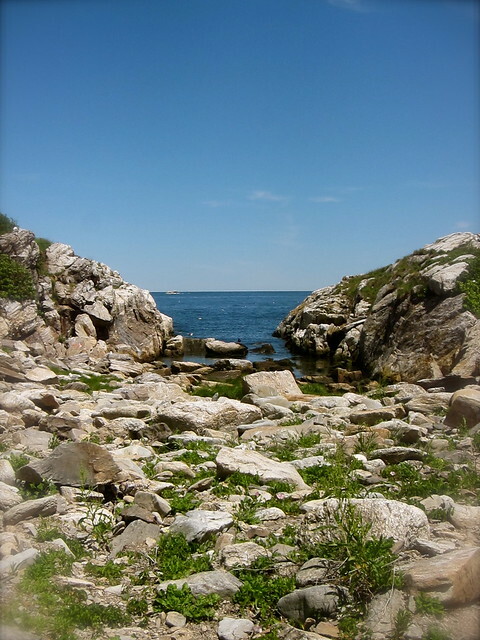 This entry was posted in field trip and tagged appledore, garden, isles of shoals, marine docents. Bookmark the permalink. A place I always wanted to go! Thank you for that reminder, and for the glorious pictures and garden wisdom in that link. Beautiful! Hi there and congratulations on your successful move! These places will still be here whenever you return, and how fun to be exploring someplace new! Thanks for the introduction to Appldore and Celia Thaxter’s garden. I read more about the island, and read a bit of her book, and enjoyed the paintings shown it. What a treat. Thanks for a delightful escape into a different world. It is indeed a different world, one she created by filling with flowers and friendship! Welcome home. Will I see you at the event there at the end of august? Yes, will be there for the retreat! Looking forward to getting to spend time with you! Lovely, what more can I say?